This is one branch of the referenced Twitter discussion. There was a brief, but interesting discussion in Twitter about risks from exposure to low levels of ionizing radiation. Among pro-nuclear people this discussion erupts with some regularity. For some background there is this really clear discussion by @kasilas which you should read. The thing is that some (I suspect mostly people with engineering background) dislike LNT (linear no threshold) assumption in radiation protection. They say that below a dose of about 100 mSv it doesn’t have observational support and therefore one should not talk about “risk” below some threshold. Such risk is speculative and just gives ammo to anti-nuclear crackpots. On the other hand experts in radiation biology and protection gather around the “party line” and tend to see LNT, if not perfect, then at least good enough and certainly better justified than supposed alternatives. The sane on both sides nevertheless conclude that whatever risk model we use for low doses, the risks will be small compared to many other risks we face on a routine basis. Both, by and large, hold the opinion that radiation from nuclear power is not an important public health concern relative to more pressing concerns. Personally I have sympathy for both sides of this discussion, but I think this is fundamentally not a scientific question, but a question of public perception of risks and how that relates to policies. Due to decades of misinformation many people have fundamentally wrong perception of radiation risks. When we start by saying that radiation dose, no matter how small, poses a risk, we do not question that underlying default setting. We might then continue telling how this risk is nevertheless tiny, but many people have already tuned out. And in any case people are very bad at evaluating risks so they are more than likely to compress the message to “radiation BAD”. The conspiracy minded among the public will of course go even further. When official tells them small amount of radiation has risks, they will conclude that it is in fact deadly and the level that is really safe will be something much much lower. As the safety level is thus adjusted downwards possibilities for exceeding those “safe levels” multiply and the sense of danger will probably go up rather than down. Of course this is a complex issue. If on the other hand we say that the risk is not there, some will simply decide that you are not credible and tune out immediately. You have to adjust your message in response to craziness on the other side and hope they will gradually move to a sensible position. But does anybody know, how nuanced accurate discussion actually influences people whose opinions are at the start of the discussion bizarrely off base? Such discussion certainly is preferable with people whose opinions are more or less sensible to begin with, but with others? I am really not sure and would love to learn of some research on this topic. Given the horrendously wrong public perception of radiation risks, I often feel they would be better served if their default settings were based on the idea of zero risk. This is fundamentally wrong, but it is less wrong, in a practical sense, than their current perceptions. Once the lowest order term has been correctly established we could start adding nuance and even move to discussion of such regimes where radiation risk is actually large. Nowadays people start from fears of cities attacked with nuclear weapons and then we expect them to make a reasonable extrapolation of risks into their daily lives. For most people I don’t think that will ever happen. On the other hand, I do not know how that more sensible starting point can be established in practice. Currently people pickup nonsense from NGO:s and media already as children and accurate information gets drowned in the noise. According to LNT-influenced guidelines, cancer risk starts to increase at 100mSv, right? Is that an annual dose, or some other duration? @millysievert No, 100 mSv is where increased risk has been observed, but that is due to lack of data, not that 100 mSv is a “limit”. @andersorbom No, I understand that, just trying to find it if that assumption is made on an annual dose or some other duration. @millysievert @andersorbom LNT considers “dose”, not “dose rate,” while dose rate is actually what matters. @millysievert @andersorbom “accumulation” has no support in the data. Hormesis is observed, biological processes repair slow damage. @millysievert Or don’t, it’s basically the “cold fusion” of radiobiology. Motivated reasoning and wishful thinking. @millysievert Believe unbiased trusted sources and the scientific mainstream, not either pro- or anti- activists and fringe researchers. @andersorbom @millysievert My heuristic: scientific mainstream is more often right than wrong,and only very rarely totally wrong. @andersorbom @millysievert My take after reading quite a bit: LNT model might overestimate cancers but radiation may cause other damage too. @stevedarden @jmkorhonen @andersorbom Exactly what I’m trying to figure out! A good question, I’ll put it to more knowledgeable people. @millysievert @stevedarden @jmkorhonen I’m sorry but “comfort level” is just a weird way to think abt it. You shld minimize dose, period. @BenThinkClimate @jpjmarti @millysievert @stevedarden @jmkorhonen Weighing risk & benefit does nt req denying risk, and that’s all from me. @jpjmarti @andersorbom @BenThinkClimate @millysievert @stevedarden Abandoning LNT politically impossible.Better fight battles we can win. The individual early fatality risk from SOARCA scenarios is essentially zero. Individual LCF risk from the selected specific, important scenarios is thousands of times lower than the NRC Safety Goal and millions of times lower than the general cancer fatality risk in the United States from all causes, even assuming the LNT dose-response model. Another way to look at it is that if I throw a 1-gram rock at everyone in the United States then, using the collective dose model, we could expect 270 people to be crushed to death because throwing a one-ton rock at someone will surely kill them. However, we know this is not the case because nobody will die from a 1-gram rock. The Health Physics Society also recommends not making risk estimates based on low exposure levels. The advice on radiation in this report will clarify what can, and cannot, be said about low dose radiation health effects on individuals and large populations. Background doses going from 250 mrem (2.5 mSv) to 350 mrem (3.5 mSv) will not raise cancer rates or have any discernable effects on public health. Likewise, background doses going from 250 mrem (2.5 mSv) to 100 mrem (1 mSv) will not decrease cancer rates or effect any other public health issue. Note – although most discussions are for acute doses (all at once) the same amount as a chronic dose (metered out over a longer time period like a year) is even less effecting. So 10 rem (0.1 Sv) per year, either as acute or chronic, has no observable effect, while 10 rem per month might. The Japanese people can start eating their own food again, and moving back into areas only lightly contaminated with radiation levels that are similar to background in many areas of the world like Colorado and Brazil. The huge waste of money that is passing for clean-up now by just moving around dirt and leaves (NYTimes) can be focused on clean-up of real contamination near Fukushima using modern technologies. The economic and psychological harm wrought by the wrong-headed adoption of linear no-threshold dose effects for doses less than 0.1 Sv (10 rem) has been extremely harmful to the already stressed population of Japan, and to continue it would be criminal. That’s just Jim’s summary – please read his complete essay for the charts, tables and implications for Japan. And did Muller Lie? The evidence seems pretty conclusive that all this enormous waste of resources was based on a lie. Not to mention the fear, and in the case of Fukushima at least a thousand unnecessary deaths due to the panic and mismanagement of the evacuation. In accordance with current knowledge of radiation health risks, the Health Physics Society recommends against quantitative estimation of health risks below an individual dose1 of 50 millisievert (mSv) in one year or a lifetime dose of 100 mSv above that received from natural sources. Doses from natural background radiation in the United States average about 3 mSv per year. A dose of 50 mSv will be accumulated in the first 17 years of life and 0.25 Sv in a lifetime of 80 years. Estimation of health risk associated with radiation doses that are of similar magnitude as those received from natural sources should be strictly qualitative and encompass a range of hypothetical health outcomes, including the possibility of no adverse health effects at such low levels. There is substantial and convincing scientific evidence for health risks following high-dose exposures. However, below 50– 100 mSv (which includes occupational and environmental exposures), risks of health effects are either too small to be observed or are nonexistent. 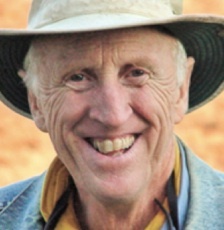 Environmentalist Stewart Brand on the retirement of LNT. Report of the United Nations Scientific Committee on the Effects of Atomic Radiation (UNSCEAR) Fifty-ninth session (21-25 May 2012) [PDF]. As I write we have over 220 signatures on the captioned letter, hosted at the Ted Rockwell Memorial site. We need many more signatories supporting this vitally important initiative. Please sign and invite your colleagues to sign. 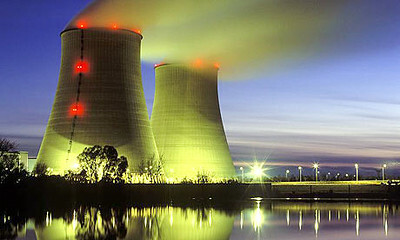 Following is an update via email from John A. Shanahan, President, Environmentalists for Nuclear Energy – USA. John sent a list of signatories as of July 20th. I put a copy of the list here on Dropbox. 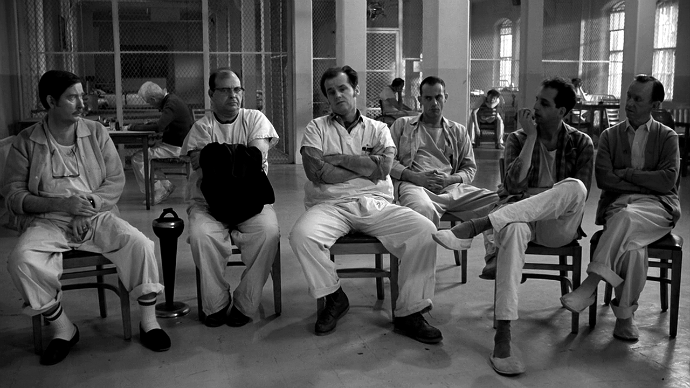 Everyone is on bcc to maintain your privacy. Thank you for signing the letter to the American Nuclear Society about the Linear No-Threshold Hypothesis requirements for the nuclear and radioisotope industries. Attached is a current list of signers, including each of you. Please review it and consider inviting colleagues who are not listed. The long-term success of nuclear power and nuclear medicine depends on moving away from LNT to more realistic standards. – (Friends of Nuclear Energy / Radioisotopes) can include elected officials, teachers, people outside nuclear related professions who support nuclear power and nuclear medicine. Worldwide. – (Employees in Nuclear Energy) This includes everyone from mining uranium and thorium to operations of nuclear power plants to radwaste storage and professors in nuclear engineering, who are not members of ANS, etc. Worldwide. – (Employees in Radioisotopes for Nuclear Medicine etc.) This includes everyone involved in producing radioisotopes to using them in all applications, not just nuclear medicine. Of course it includes doctors in diagnostic and therapeutic medicine. Worldwide. It is very important that as many voices are heard from as many organizations as possible, Worldwide. Special encouragement to Women in Nuclear, WiN and Young Generation in Nuclear organizations, Worldwide. Is radiation a must for cells’ normal growth? The March, 2011 issue of Health Physics published an interesting paper titled “Exploring Biological Effects of Low Level Radiation from the other Side of Background” summarizing the results from a Low Background Radiation Experiment carried out in Waste Isolation Pilot Plant (WIPP), an underground lab at New Mexico and those from a sister experiment conducted at the Lovelace Respiratory Research Institute, Albuquerque. This was part of a $150 million, five-year long, low-dose research project recommended by 26 scientists highly regarded in radiobiology research community and representing competing radiation effects hypotheses. WIPP is located at a depth of 650 metre in the middle of a 610 metre thick ancient salt deposit that has been stable for more than 200 million years. The radioactivity content of the salt deposit is extremely low. The radiation levels in the lab are ten times lower than the normal natural background radiation levels. The contribution to the background from potassium-40, the only identifiable radionuclide present in the lab can also be reduced further by using a modest amount of shielding. Massive, 650 metre thick, salt reduced the cosmic ray background. Researchers incubated Deinococcus Radiodurans, a bacterium which is highly resistant to radiation, above-ground and in WIPP in a 15 cm thick pre-world war II steel chamber; that steel is not contaminated by traces of radio-nuclides from nuclear weapons fallout. The researchers found that shielding cells from natural radiation upregulated ( initiated the process of increasing the response to a stimulus) the expression of two out of three stress proteins and follow on x-ray exposure further upregulated expression. They obtained similar results with the bronchial epithelial cells. Both studies demonstrated a stress response when cells were grown under reduced radiation conditions. Does it show that radiation is necessary for normal growth of cells? A few years ago, mainstream scientists should have shown a smirk on their face followed by a grin if they heard this conclusion. Not any more. Many outstanding specialists feel that at the end of five years, they may be able to develop a model based on exposing organisms to near zero levels of radiation, a model based on sound science. It may lead to increasing the levels of radiation considered safe; it will have a profound impact on the economics of decommissioning nuclear facilities, long term storage of radioactive waste, construction of nuclear power facilities among others. This requires drastic changes in public perception. Sixty-three years of research on radiation effects have gone by, and Kistiakowsky’s critique still holds. The linear no-threshold (LNT) radiation dose hypothesis, which surreally influences every regulation and public fear about nuclear power, is based on no knowledge whatever. The “linear” part of the LNT is true and well documented. Based on long-term studies of survivors of the atomic bombs in Japan and of nuclear industry workers, the incidence of eventual cancer increases with increasing exposure to radiation at levels above 100 millisieverts per year. The effect is linear. Below 100 millisieverts per year, however, no increased cancer incidence has been detected, either because it doesn’t exist or because the numbers are so low that any signal gets lost in the epidemiological noise. We all die. Nearly a half of us die of cancer (38% of females, 45% of males). If the “no-threshold” part of the LNT is taken seriously, and an exposed population experiences as much as a 0.5% increase in cancer risk, it simply cannot be detected. The LNT operates on the unprovable assumption that the cancer deaths exist, even if the increase is too small to detect, and that therefore “no level of radiation is safe” and every extra millisievert is a public health hazard. Some evidence against the “no-threshold” hypothesis draws on studies of background radiation. In the US we are all exposed to 6.2 millisieverts a year on average, but it varies regionally. New England has lower background radiation, Colorado is much higher, yet cancer rates in New England are higher than in Colorado – an inverse effect. Some places in the world, such as Ramsar in Iran, have a tenfold higher background radiation, but no higher cancer rates have been discovered there. These results suggest that there is indeed a threshold below which radiation is not harmful. Furthermore, recent research at the cell level shows a number of mechanisms for repair of damaged DNA and for ejection of damaged cells up to significant radiation levels. This is not surprising given that life evolved amid high radiation and other threats to DNA. The DNA repair mechanisms that have existed in yeast for 800m years are also present in humans. The actual threat of low-dose radiation to humans is so low that the LNT hypothesis can neither be proven true nor proven false, yet it continues to dominate and misguide policies concerning radiation exposure, making them grotesquely conservative and expensive. Once the LNT is explicitly discarded, we can move on to regulations that reflect only discernible, measurable medical effects, and that respond mainly to the much larger considerations of whole-system benefits and harms. The most crucial decisions about nuclear power are at the category level of world urban prosperity and climate change, not imaginary cancers per millisievert. Oxford nuclear and medical physicist Wade Allison is the author of Radiation and Reason: The Impact of Science on a Culture of Fear. Recently Prof. Allison wrote an op-ed that explained very succinctly why low levels of radiation are not to be feared; why ionising radiation from nuclear reactors is fundamentally the same as the UV from the sun. I recommend this brief essay as a resource for those who have friends and family who are fearful about nuclear energy. With this as background, perhaps the fearful will be better prepared to understand the stories of former anti-nuclear activists who are now campaigning for nuclear power (e.g., Stewart Brand, Mark Lynas). This is the theme of the soon-to-be-released documentary Pandora’s Promise by film maker Robert Stone (also a former anti-nuclear activist). Scientists are currently mired in a bogus safety culture that stifles innovation, acts as a brake on economic growth and actually makes the world a more hazardous place. How has this happened? Until recently much prosperity flowed from new developments in chemistry and electronics that exploit the outer part of atoms. Only medicine has whole-heartedly engaged with the inner nuclear part. Following the work of Marie Curie the health of people around the world today has improved out of all recognition thanks to radiation and nuclear technology. Unfortunately many people — politicians, the media, the wider public, even many scientists — believe that this same technology when used in other contexts is dangerous; the reasons for this are historical and cultural without any basis in science. This belief should be challenged and we should examine the evidence, based on simple ideas, personal experience and the published results of nuclear accidents. Otherwise this source of innovation will dry up with significant economic consequences. Life has evolved to be stable under changing conditions, for example when attacked by moderate exposure to radiation, that is ionising radiation such as ultraviolet in sunshine. As we have all learnt, a little too much and we suffer from sunburn. If repeated too often, we can get skin cancer later on and that can be fatal. Other forms of ionising radiation have a similar effect except that they may penetrate below the skin. The diagram illustrates how the spectrum of radiation includes visible light (shown as a rainbow), the infrared range on the right, and the ultraviolet on the left merging into the X-rays and gamma rays that we know as types of nuclear radiation. Like other radiation on the right, infrared just heats living tissue and is harmless unless it overheats. However, ionising radiation, shown to the left can result in molecular damage and the creation of oxidants, dangerous chemical fragments similar to those produced in normal metabolism. These break the DNA molecules which control the cells of living tissue. In sunburn skin cells are damaged in large numbers but the DNA is repaired or the cells replaced with new. Cancer develops when faulty DNA repairs escape the vigilance of the immune system. In 2009 there were over 9000 skin cancer deaths in USA, based not on some hypothetical calculation but on actual annual mortality figures. Nevertheless, some significant exposure of the skin to ultraviolet is important for the production of Vitamin D and the avoidance of Rickets. Sunbathing in moderation is an accepted pleasure in life and people do not take their vacations exclusively by starlight or deep underground, just to avoid the radiation with its small cancer risk. There is no plethora of international committees to discuss this danger – just gentle public education from doctors and pharmacists pressing families to use blocking agents and to restrict their time in the sun at midday. So, everybody learns of the danger without a great ballyhoo and the risks are in the same range as others encountered in life (in USA annual deaths per million population: skin cancer 30, road traffic 110). It may be a matter of life and death for the individual, but, in spite of a fair number of identified deaths every year, nobody would choose to threaten the economy or social health of a whole society on this account. By contrast, the closely related nuclear radiation from the accident at Fukushima (damaged in the 2011 Japanese tsunami) has killed nobody and the intensities are so low that no case of cancer is likely in the next 50 years. Unlike figures for skin cancer the only estimates of risk come from discredited calculations of a tiny number of deaths that appear only on paper. Yet the authorities have reacted in a way that reduces economic output and increases damage to the environment. Modern scientific experiments establish beyond doubt that moderate doses of radiation do no harm. Biologists have learnt how in a billion years life has evolved defences against such attacks and even benefits from modest stimulation of these defences by low chronic doses. So why are official attitudes and regulations so dangerously inappropriate? They cause serious social harm and benefit nobody – and by closing nuclear power plants they have caused major damage to the environment and the world economy. The fear of a nuclear holocaust at the time of the Cold War spawned many committees, national and international, who still offer advice to governments to regulate any exposure to radiation to levels “As Low As Reasonably Achievable”. This is about 1000 times lower than a level that would be “As High As Relatively Safe” — which, after all, is the way that the safety of a bridge or ship might be assessed. Such safety factors are unaffordable in nuclear technology, as elsewhere, and excessive safety is intimidating. These overlapping committees, should be reduced and should re-dedicate themselves to dispensing explanatory education and improved public trust in science. Only then may the known benefits of nuclear technology (access to clean power, clean water, food preservation, as well as advances in healthcare) be widely accepted and realised. Those countries that first break the mould and start fully exploiting this technology will have a great economic advantage – and they will be safe too. Low-level Radiation Effects in the Waste Isolation Pilot Plant Permian-age Salado Formation. We are studying the effects of shielding cells from normal levels of radiation by growing them 650 meters underground at the WIPP site in a pre-World War II 6-in thick steel chamber. The effort is to test the Linear No-threshold Theory from the “other side of background”, in a radiation-shielded environment that is well below natural levels of radiation (Smith et al. 2010). Additionally, the Permian-age halite is being examined for biochemical evidence of ancient life. This study could make an important contribution to verification or refutation of the Linear No-threshold (LNT) hypothesis. As the world remembers the one-year anniversary of the 2011 tsunami that devastated Japan and set off a tragic chain of events that included the nuclear reactor incident in Fukushima, the panel of leading scientific and medical experts reported on the risks and effects of radiation on the Japanese and other populations. A first-hand account of the impacts on the Fukushima population was provided by two members of the distinguished panel. The discussions included the health effects of radiation immediately following the event to present day and an analysis of future risks for the population. The panel consisted of John Boice, ScD; Robert Emery, DrPH, CHP, CIH; Robert Peter Gale, MD, PhD, DS. (Hon); Kathryn Higley, PhD, CHP; and Richard Vetter, PhD, CHP. It was moderated by Howard Dickson, CHP, CSP, and CIH. Members of the Washington panel agreed that while they considered the physical health risks from the exposure too small to measure, the accident would still have an impact. Psychological trauma from the evacuation and months away from home could end up being the biggest health risk from the accident. Members of the press asked several questions of the panel during the press conference and visited individually with panel members after the event. A video of all the proceedings will be available in a few days. Watch for it on the HPS website (hps.org). (…) Dr. Robert Gale, visiting professor at Imperial College London, pointed out that although approximately 20,000 people died from the 2011 Tohoku earthquake and subsequent tsunami, none of those deaths are attributable to radiation from the Fukushima accident. 5,800 received doses less than 1 millisievert (mSv). 4,100 received doses between 1 and 10 mSv. 71 received doses between 10 mSv and 20 mSv. 2 received doses between 20 mSv and 23 mSv. By comparison, each year a resident of the United States receives an average total dose from background radiation of about 3.1 mSv. Gale said it was important to translate these doses into something the general public could easily understand. These radiation doses indicate an “incredibly small” increase in risk of death from cancer of only 0.001 percent for a member of the Japanese public, he said. The increased risk of cancer incidence would be only 0.002 percent for a member of the Japanese public. Such a small increase in the cancer rate would make it very hard to scientifically verify an increase in cancers that could be directly linked to the Fukushima accident. Despite worries, radiation exposure from the Japanese nuclear plant damaged by the tsunami is unlikely to cause an increase in cancers. (…) This doesn’t mean there will be no future radiation-caused cancers, as some claim. But because there may be so few cancers, it is unlikely any epidemiological investigations will detect an increase in Japan or elsewhere that can be directly attributed to Fukushima. (…) What do the Fukushima exposures really mean? A rough estimate is that for a 50-year-old male working at the Fukushima nuclear facility, his lifetime risk of cancer might increase from 42% to 42.2%. The magnitude of this increased risk is comparable to the added risk of living in Denver (where background radiation is higher because of the altitude and radionuclides in the Rocky Mountains) versus New York City for 10 to 15 years, or smoking one pack of cigarettes a day for one to two years. The Japanese public will, of course, get far less radiation. Don’t miss Measuring the Fukushima radiation risks by radiation risk assessment experts Robert Peter Gale and F. Owen Hoffman. (…) we think the public deserves an estimate of likely outcomes of radiation released when the March 11, 2011, earthquake and tsunami caused multiple meltdowns of nuclear fuel at the plant. Fukushima has understandably reignited debate and concern regarding cancer risks from radiation. A year after the accident, many people still won’t travel to Japan. Sushi sales have taken a hit. And yet the Japanese government says that even those who lived near the reactor have little to worry about. Who’s right? (…) In general, we don’t think much about the inherent risks of such exposures. For example, if your doctor sends you for a CT scan, you may get a radiation dose about seven times greater than you would in a year from most natural or man-made sources. However, few people decline a CT scan because of the risk of radiation-induced cancer. But when we read of a spike in the amount of radiation in the water in Tokyo, we get scared. One important element that we have to consider to assess cancer risks associated with an accident like Fukushima is our baseline risk for developing cancer. All of us, unfortunately, have a substantial risk of developing cancer in our lifetime. For example, a 50-year-old male has a 42% risk of developing cancer during his remaining life; it’s almost the same for a 10-year-old. This risk only decreases when we get much older and only because we are dying of other causes. It’s true that excess radiation exposure can increase our cancer risk above baseline levels; it’s clear from studies of the survivors of the 1945 atomic bombings of Hiroshima and Nagasaki, of people exposed to radiation in medical and occupational settings, and of people exposed to radon decay products in mines and home basements. When it comes to exposures like that of Fukushima, the question is: What is the relative magnitude of the increased risk from Fukushima compared to our baseline cancer risk? Despite our fears, it is quite small. (…) Now for Fukushima. The kind of radiation was similar to Chernobyl, but about four to 10 times less was released. And there are other important differences. Most of the radiation released (about 80%) was blown offshore by winds, where it was diluted by air and sea. Consequently, exposures received by Fukushima workers and the public are quite low, including among the 20,000 or more workers decommissioning the facility and the approximately 100,000 evacuees. This doesn’t mean there will be no future radiation-caused cancers, as some claim. But because there may be so few cancers, it is unlikely any epidemiological investigations will detect an increase in Japan or elsewhere that can be directly attributed to Fukushima. (…) Robert Peter Gale, a visiting professor of hematology at Imperial College London, is involved with the aftermath of the Chernobyl and Fukushima accidents. F. Owen Hoffman is an expert in radiation risk assessment working in Oak Ridge, Tenn. In 1986, he was asked by the government Soviet Union to coordinate medical relief efforts for victims of the Chernobyl nuclear power station accident. In 1987, he was asked by the government of Brazil to coordinate medical relief efforts for a radiation accident in Goiania. In 1988, he was part of the U.S. medical emergency team sent in the aftermath of the earthquake in Armenia. In 1999 he was asked by the government of Japan to help treat victims of the nuclear criticality accident near Tokyo. In 2011 Gale was called to Japan to deal with medical consequences of the Fukushima nuclear power station accident. Dr. Gale is the author of Final Warning: The Legacy of Chernobyl, his personal account of the aftermath of Chernobyl. Dr. F. Owen Hoffman is the president and director of SENES Oak Ridge, Inc. Center for Risk Analysis. He has more than 30 years experience on the evaluation of the dose to humans from the release and transport of radionuclides and chemicals in terrestrial and aquatic systems. He is recognized nationally and internationally for his contributions to the development and evaluation of mathematical models for environmental transfer and human risk assessment. (…) Slowly but inexorably, radiation scientists are recognizing that the LNT hypothesis – at one time administratively useful in regulating radiation exposures during the infancy of radiation science — has in its maturity become scientifically illegitimate and ethically indefensible. In his book, Has Radiation Protection Become a Health Hazard? Gunnar Walinder, a Swedish radiobiologist, states unequivocally: “The linear, no-threshold hypothesis is one of the greatest scientific scandals of modern times.” Dr. Walinder’s bold statement is indicative of a significant sea-change among radiation experts in their assessment of the validity of using the LNT hypothesis as a basis for setting standards in radiation protection. Among prominent experts, Leonard Sagan now observes that the LNT model is based on “politics and social concerns,” not science. Nobel Laureate Rosalyn Yalow writes that, “the literature and media overestimate radiation damage even if the overall effect does not differ from zero.” Sohei Kondo at Osaka, Japan’s Kinki University has conducted research into atomic bomb survivors which shows slight decreases in cancer deaths among those exposed to low doses — suggesting that radiation-induced precancerous cells undergo self-killing or apoptosis which prevents later development of a cancer. An emerging consensus concludes that current regulations for radiation exposure are not only “based on quicksand,” but have become pernicious obstacles to the ethical goal they purport to achieve: public health protection. (2) that it is “morally better” for health protection to assume that any radiation exposure, no matter how small, has some harmful effect which can and ought to be prevented. Ethical Travesties: Fear of radiation has proved to be far more detrimental to public health than radiation itself. No actual deaths of U.S. citizens have been attributed to accidental releases of radiation from reactors. But fear of radiation has proved fatal: (1) fear of bearing a “nuclear mutant” led 100,000 European women to choose unnecessary abortions after Chernobyl; (2) thousands of people avoid life-saving medical procedures such as mammograms or radiotherapy because they involve radiation; (3) regulatory roadblocks preventing management of harmless low-level wastes are causing many hospitals to shut down radiomedical treatment centers; (4) thousands of deaths from pathogens infecting seafood, eggs, beef and poultry could be prevented by irradiating food. Moreover billions of dollars have already been spent on trivial radiation risks based on grotesque scenarios about (1) single atoms destined to migrate through miles of desert soil to contaminate a potential water source in some distant future, or (2) measurable radon producing sick buildings which require costly remediation or destruction. Fear endangers human health. Because the LNT model is deeply entrenched in standard-setting procedures of UNSCEAR, BEIR, ICRP and NCRP (UBIN), their bureaucracies have neither cited, discussed, nor refuted the data and theory contradicting the LNT model. Eventually, politicizing and prostituting scientific principles will erode not only the credibility of scientists, but also public confidence in regulatory institutions. Risk-tradeoff analysis is an ethically necessary replacement for the regulatory vested interests now dominating bureaucratic incentives to “keep the hazard alive” — namely, empire building, legalized plunder, research funding, sales of instruments, and indispensible services to a fearful public. An obsession with hypothetical health effects from but one technology siphons attention away from widespread harms claiming the lives of human beings daily.